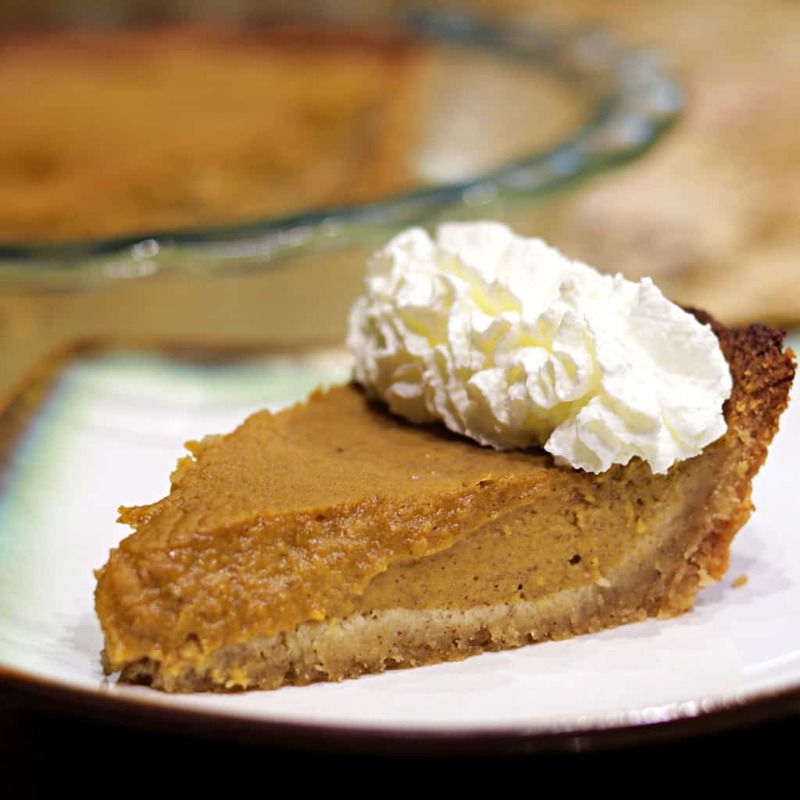 Pumpkin Pie is one of my most favorite holiday foods to enjoy, and it is a wonderful Keto Dessert. When it comes to Thanksgiving, I prefer it more than the rest of the meal itself, that’s just how much I look forward to it. Sadly it seems that the only time of the year people prepare a Pumpkin Pie is in the Fall and Winter time, but they are yummy enough that I would want to eat them all year long. With very few alterations to the traditional Pumpkin Pie filling, this recipe easily becomes keto-friendly. In the filling we simply swap out sugar for our favorite Lakanto Classic Monkfruit Sweetener, and we substitute the evaporated milk for some Heavy Whipping Cream. The crust is a little bit more of a challenge, but a low-carb crust made from mostly butter and Almond Flour is REALLY good. The crust actually reminds me of the flavor of Honey Nut Cheerios for some reason (makes me wonder if I could pull off a keto cereal like that some day). 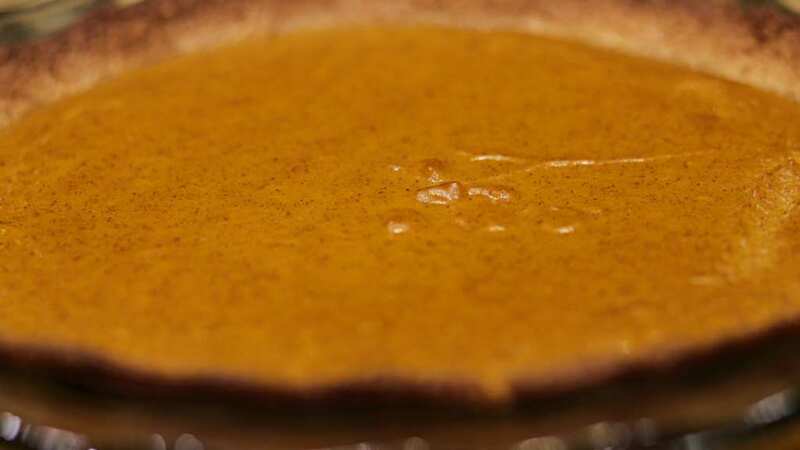 There are a few tricks to getting your Pumpkin Pie to turn out just right, and part of that is making sure that you bake it long enough that the center of the pie fully cooks, so make sure that you bake it until the middle is no longer jiggly. Then the next important step is not to cool off your pie too fast. If you cool the pie off too quickly you will risk creating cracks in your pie, which won’t ruin the flavor but will just make it look less appealing to some people. Make sure that you allow enough time to cool the pie off on the counter before putting it in the refrigerator. Also make sure that you leave the Pumpkin Pie in the refrigerator long enough to set too to avoid a runny pie. I like to garnish my Keto Pumpkin Pie with some homemade Whipped Cream, which I make in a real Whip Cream canister like they have at Starbucks. In a Small Mixing Bowl combine the 2 Teaspoons Ground Cinnamon, 1 Teaspoon Ground Ginger, and 1/2 Teaspoon Nutmeg. In a Large Mixing Bowl combine the 2 & 1/2 Cups Almond Flour, 4 Tablespoons Lakanto Classic Monkfruit Sweetener, and 1 Teaspoon of the Pumpkin Pie Seasoning. In a Food Processor (or mix by hand of you prefer) add the dry ingredients first, and then pour the egg and butter mixture on top. Pulse long enough to fully mix the crust together. Grease a 9.5″ Pie Plate with 1/2 Tablespoon of the Grass-fed Butter to prevent the crust from sticking. Spread the crust out evenly in the pan, making sure to build it up along the side walls of the pie plate to hold the pie properly. Bake the crust in the oven for about 10-12 minutes, or until you feel that it is partially baked enough. You do NOT want to fully bake it in this step. Set on counter to cool off a little bit while preparing the Pumpkin Pie filling. 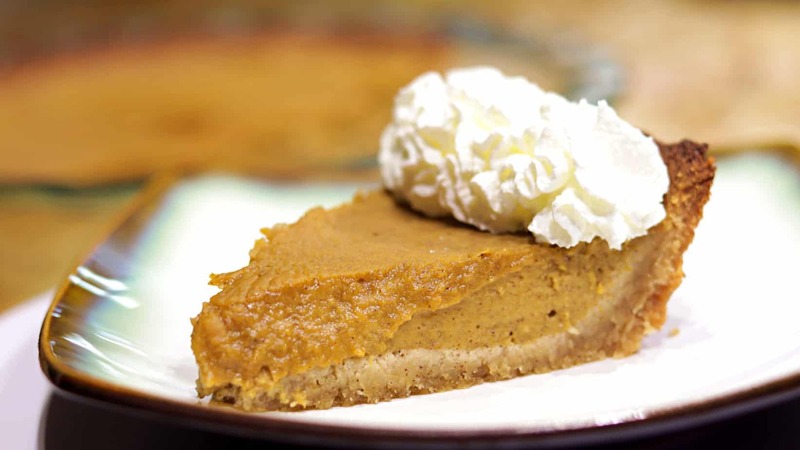 In a Food Processor (or Large Mixing Bowl if mixing by hand) combine a 15oz can of Pure Pumpkin, 3 Large Eggs, 4 Tablespoons of Heavy Whipping Cream, 2/3 Cup Lakanto Classic Monkfruit Sweetener, 1 Teaspoon Vanilla Extract, and 2 & 1/2 Teaspoons of the Pumpkin Pie Seasoning. Pour the mixed Pie Filling into the Crust, and spread evenly with a spatula. Tap on the counter to release any air bubbles, and then bake in the oven at 350*F for about 45 minutes. Remove when the center of the pie is no longer jiggly and place on the counter to cool off completely to room temperature. After the pie has reached room temperature, place it in the refrigerator for at least a couple hours, or overnight if preferred. You will want the pie to cool off enough to fully set. Note: If you are wanting to prevent the crust from browning up too much you can bake the pie with a sheet of Aluminum Foil laid carefully across the top. I cannot get the pumpkin pie recipe to print. Why? Sounds A M A Z I N G!! I love everything pumpkin. I can’t wait to try it!! Can’t wait to try it! My son requests Pumpkin Pie every year for his birthday cake and this year he is on Keto! Thank you for this recipe , I will let you know how he likes it! I cannot get the recipe to print either. I can’t wait to try! I have it all year, not just fot fall! I have made this twice already it is the perfect recipe and it comes out great every time! I’m definitely making it again for Thanksgiving. Thank you so much! I think you could also make this into a nice souffle. First, omit the pie crust. The make the filling but instead of adding the whole eggs, add just the yolks. Then whip the whites into stiff peaks and gently fold everything together. Then you can spoon it into individual baking ramekins and bake until done. Since it probably would be delicate, baking it in a water bath might work better. Baking time would depend upon the size of the ramekins, I would assume. But with a light in the oven, one can probably tell when it is done. Can you substitute Truvia or Stevia for the monkfruit sweetener? Truvia is NOT meant to be baked with. If you use a Stevia blended with Erythritol, like Swerve it would be okay (a tiny bit bitter). I am gluten and dairy intolerant. What can I replace for the heavy whipping cream? Poke the crust with a fork before you bake it. The video shows this tip on how to avoid the problem. Just put my in the oven, cant wait til it’s done. Just put mine in the oven for tomorrow’s Thanksgiving feast…can’t wait, I love pumpkin pie and this will be my first treat since July! I loved the taste but it was grainy like the sweetener didn’t dissolve all the way. As it cooled, whitish spots spread over the top that my husband said looked like mold. I don’t know if this is just the monkfruit sweetener that causes this or if I’ve done something wrong. After storing in the fridge, the white spots are gone but now it is a tan color and not the normal color of pumpkin pie. Please help, I was hoping to make more for Thanksgiving! The coloration on top that you described is normal for the pumpkin pie after it has been chilled. It is not mold, but I know what you mean, it will look a little bit “hazy” on the top. As far as the gritty texture, what brand of monkfruit sweetener did you use? I’ve done this pie twice and it was amazing both times!! On my second one I got the white hazy spots on top also, but on the first one I did not. The only difference is on the first one I put the pie out on the porch (34 degrees) right out of the oven, and on the second one (which turned white on top) I set on the counter to cool at room temp. If you wanted to do a deep dish, rather than the standard pie plate, would you make another half of the recipe? I guess that would all depend on the VOLUME that your deep dish can hold. I do know that would lengthen the cooking time too. I never freeze pumpkin pie, so I couldn’t tell you from personal experience. I don’t like erithrytol or however it is spelled. I have pure monk fruit extract. Could I make the recipe using that? I assume it would be much less since it is more concentrated…. That should work, though I do not know the correct amount of it to use. Maybe your container can give you a comparison to sugar for measurement sake? Can I use coconut cream in the pie filling? I haven’t tried it myself, but I would imagine that might work. Coconut milk or cream works great as a substitute. I only have liquid monk fruit. I’ve only ever used it once. Do you know what the ratio would be compared to the granulated monk fruit? No, I don’t know. Does the bottle give you any clue at the conversion rate by chance? No. It just says 1-5 drops per serving. I made some Keto snowballs and they ended up to sweet to eat. I don’t want to ruin my pumpkin pie. Any variation with coconut flour for this with nut allergies? I usually only keep salted butter in the house. I’ve been doing the Keto diet for about 4 months now. I been reading lately very conflicting things that are confusing me. When I first started i read no Beans, then yesterday i saw a recipe for Great Northern Crockpot Bean’s? Also I’ve learned that althugh something is sugar free or your using a sugar substitute your body considers it sugar and processes it the same. 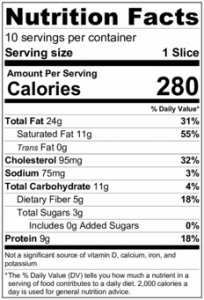 So my question is for a true Keto diet, should these thins be included or not? Also saw a Keto recipe for Sweet Potato Muffins? Also I have high Cholesterol, my Dr gave my 3 months on this diet to see if I could lower my #’s , went back yesterday and was put on meds for it.. If your not eating super high fat does this die t still work? Ive lost 20lbs, and my sugar has reduced but my cholesterol went up 50 some points. any advice, I love the results ,am I doing something wrong? Keto can still work for weight loss even without eating High Fat. In that sense you are more likely eating a more general Low Carb diet, but you could still achieve Ketosis without the high fat as long as you monitor your ketone levels and keep them where you want them to be. Made this as a crust-less pie in a glass pie dish, buttered with grass-fed butter. Baked it lower and slower and it was fantastic!